Advance registration is now closed. Check at the synod registration table beginning Tuesday, July 17, at the synod hotel, if you wish to register on-site. Synod meals may not be available if you register at the synod venue. The 2018 Synod of the Diocese of the Eastern United States (DEUS) will be held July 16-20, 2018, in Charlotte, North Carolina. St. Michael the Archangel Church, 2211 Margaret Wallace Rd., Matthews, NC 28105 is the host parish. The hotel venue is the Hilton Charlotte University Place, 8629 J.M. Keynes Dr., Charlotte, NC 28262. This year’s synod will be celebrating the 50th anniversary of the founding of the DEUS. Various committees, boards and agencies of the DEUS will meet before the official opening of the synod, which is 1:00 p.m. on July 18. The synod will close at 12:00 p.m. on July 20. The synod banquet has a “sock hop” theme, with music from the 1950’s through the 1970’s. The synod organizers encourage you to bring your poodle skirt and pomade! The clergy wives will have a luncheon and there will also be a Deaconess Ministry Informational Luncheon. You register for these two events when you register for synod. 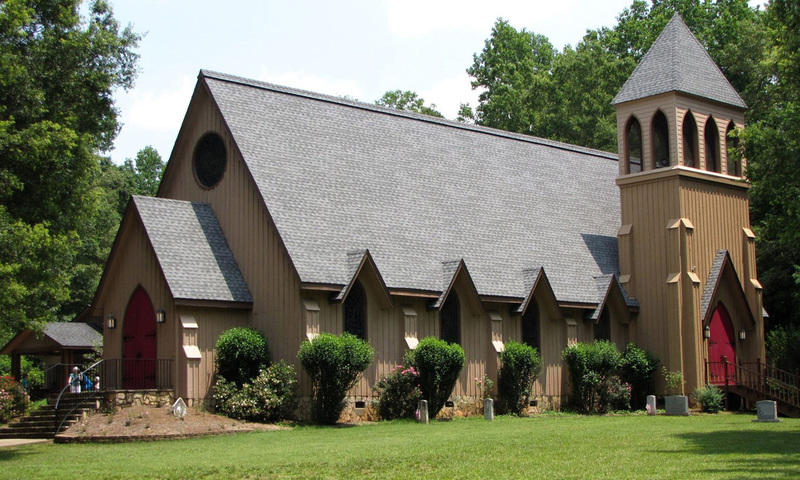 The Synod Eucharist and barbecue dinner will be held at St. Michael’s Church. All other events occur at the hotel. DEADLINE is passed for both synod registrations and hotel reservations. The proposed schedule for synod may be accessed for viewing and/or download. Click this button. Hotel reservation deadline has passed. The synod group rate for the hotel was $125/night for either 2 double beds or 1 king bed. Hotel reservations may be made online. Click this button. You may also contact the Hilton directly at 704.547.7444 or 800.HILTON to see what may be available. The group name is Anglican Province of America/DEUS under which the discounted rate is being held. Late Synod registration cost is $140.00 this year. This is the cost for all delegates, alternates, and observers. This includes the cost for the synod banquet and barbecue dinner. Register by clicking on this button. You may purchase additional banquet and barbecue tickets for those not registered for synod. In order to do so, click and make your selection.